Well, we are talking about Power Star Pawan Kalyan and Natasimham Nandamuri Balakrishna. Pawan Kalyan drove directly from Charan’s engagement venue to a special screening of ‘Sri Rama Rajyam’ that was arranged for him at Prasad Labs. 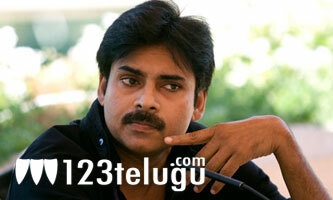 Pawan Kalyan was so impressed with the movie that he showered director Bapu, Balakrishna and Nayanatara with praises. He also praised Producer Yalamanchili Sai Babu for having the courage to make such films in the present day and age. This noble gesture from Pawan Kalyan is being heartily appreciated by fans of both the stars. Sri Rama Rajyam has picked up well in terms of collections and family crowds are now embracing this movie. The film received a unanimous positive talk from critics and public alike since Day 1.